The links on this page are specific to basset hounds. (Note:These links are included for the use of our members and guests. We do not post links that contain advertising nor those that are not related to dogs. The webmaster and the BHCSC Board of Directors have the final word on links selected for this website. They, however, have no control on the content of linked sites and take NO responsibility for their content. Use these links at your own risk. 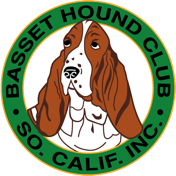 Member Breeders of the Basset Hound Club of Southern California, Inc. Breeders Who Belong to the Basset Hound Club of America, Inc. The only recognized Standard for judging Basset Hounds in the USA. The satisfaction of showing a Basset Hound in AKC conformation is amazing. If you truly love the breed you might be interested. This link takes you through all the steps that are needed. It's how many of us who show our dogs got started. How to get started showing your dog. Jim is a long time member of the BHCSC. Over the years he has donated time and CDs of his music to the club. One CD, Basset Hound Blues, stands out as one we can recommend to Basset Hound lovers with lead vocalist Stanley the Basset Hound. 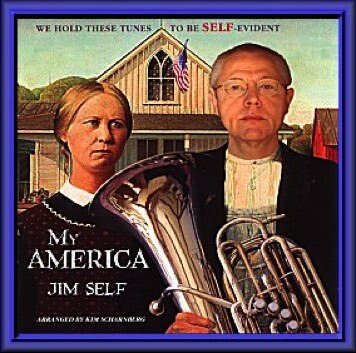 Besides the Basset Hound Blues CD, the My America CD has a tune called "When Juba Plays the Fluba" in Aruba that features his howling basset hound. Several of the other CDs including the latest Christmas CD have Basset Hound howls as the tag ending to the CD. Jim's record label is Basset Hound and his music room at home is Basset Hall (of course). 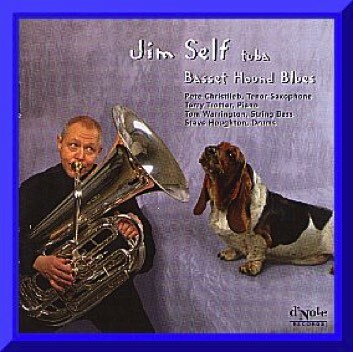 Jim has influenced a lot of other tuba players all over the world who now have basset hounds--it's becoming the official breed of tuba players. Renee is a long time member of the BHCSC. Over the years she has donated time and her artistic talent to the club. Most of the garments the club has offered over the years were Renee Bane designs. 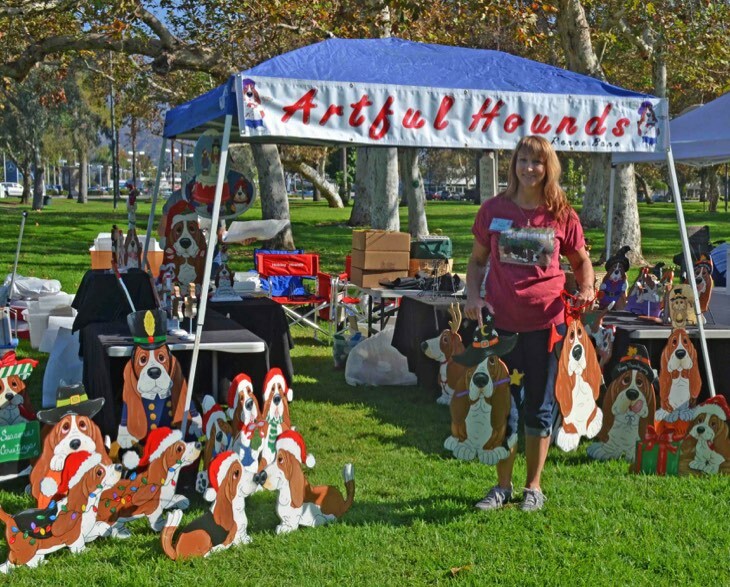 She has set up her booth for many uears at our Basset Hound Picnic. Renee has some of her Basset Hound artwork available on the Internet (see link below the photo). There are many different designs available. In addition Renee does commissioned artwork both as yard art and art to hang on a wall. We are very privileged to have Renee as a BHCSC member. This is designed to provide schools of learning in which courses of interest are available to owners, breeders and judges alike. The BHU is dedicated to preserving our breed's past legacies and future experiences by providing practical home-study education programs in all areas of interest to Basset Hound fanciers and in so doing, help carry forth the mission of the Basset Hound Club of America. 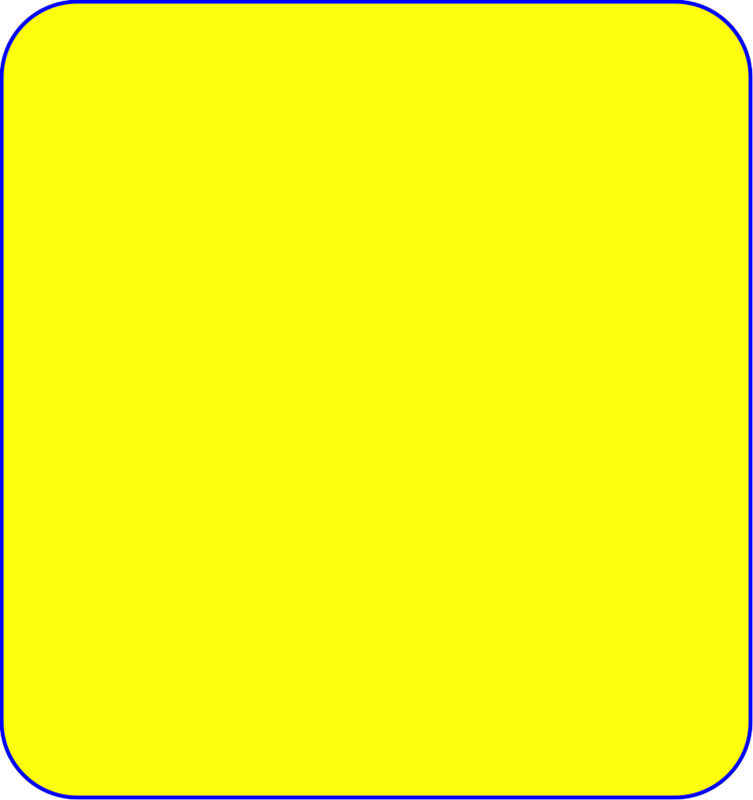 This is a very extensive collection of videos, online books and actual courses that anyone can take advantage of. The BHU materials cover almost every subject immaginable related to Basset Hounds and even other breeds. Previously these materials were only available for purchase in print and on DVD. The fact that these are now available through the BHCA and the AKC is amazing. To begin investigating click on the link below. We would also suggest that you add this link to your bookmarks because you will want to revisit it many times in the future. You are invited to explore each "school", regardless of your experience. 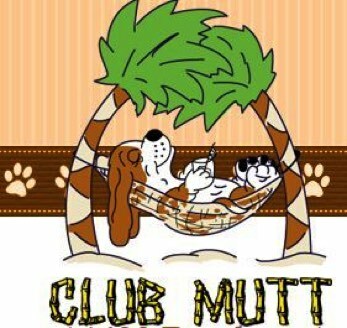 Club Mutt has been a part of the Chino, California, community for over ten years. We love dogs and are pleased to provide many quality services to enrich their lives! We offer full-service dog grooming and full-day or half-day doggy daycare service. Visit our website for our location and more information. A story about how the runt of the litter becomes an AKC Champion and how sponge feeding was the key to her survival. It's an inspirational story for breeders and all dog lovers. This page also includes information and links to videos on sponge feeding puppies that need to be supplemented.